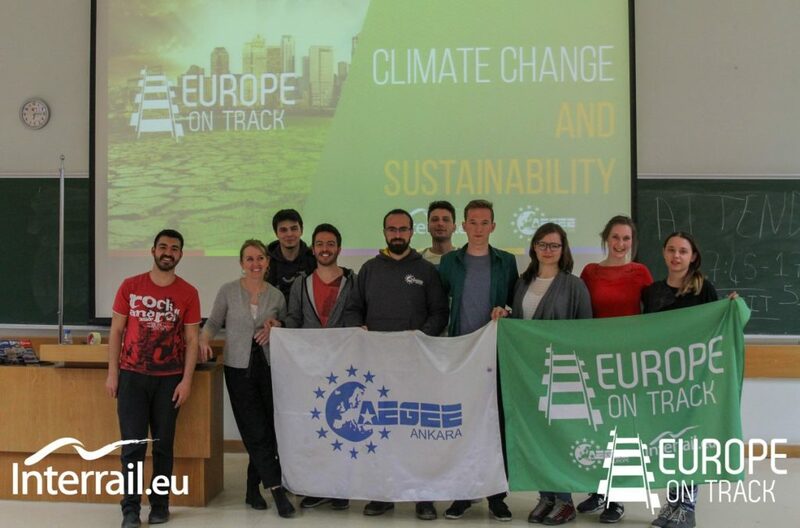 ﻿At Spring Agora Kraków there will be two candidates for the position of Financial Director of AEGEE-Europe: Oğuzhan Ayhan and Luca Bisighini. 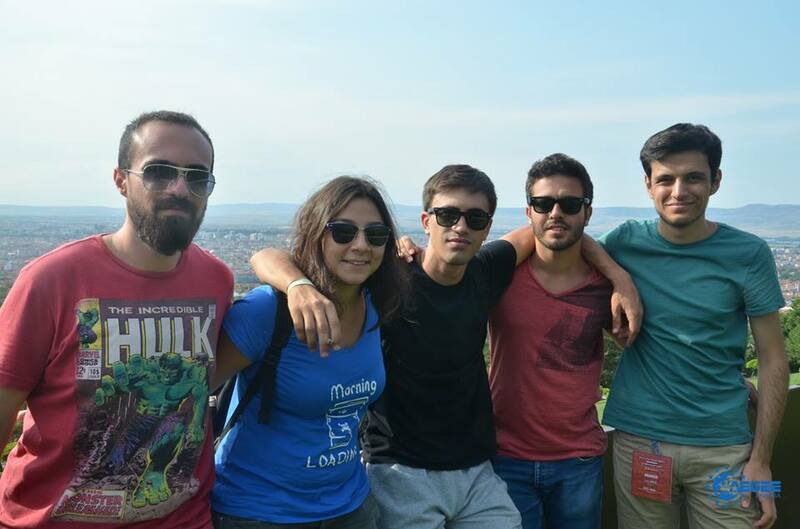 Next to having been President of AEGEE-Ankara, Oğuzhan also already gather European-level experience in the Audit Commission. Check out his interviews answers! Gunnar Erth: Oğuzhan, how would you describe yourself in five keywords? Oğuzhan Ayhan: In five words I can say: ambitious, determined, perfectionist, strategist and geek. You are running against Luca, one of the most active AEGEE members with a huge online presence. Why did you decide to run nevertheless? I do respect Luca’s candidature and I believe he would make a successful Financial Director. But I believe in myself and my expertise as well! I was elected as a member of Audit Commission twice. 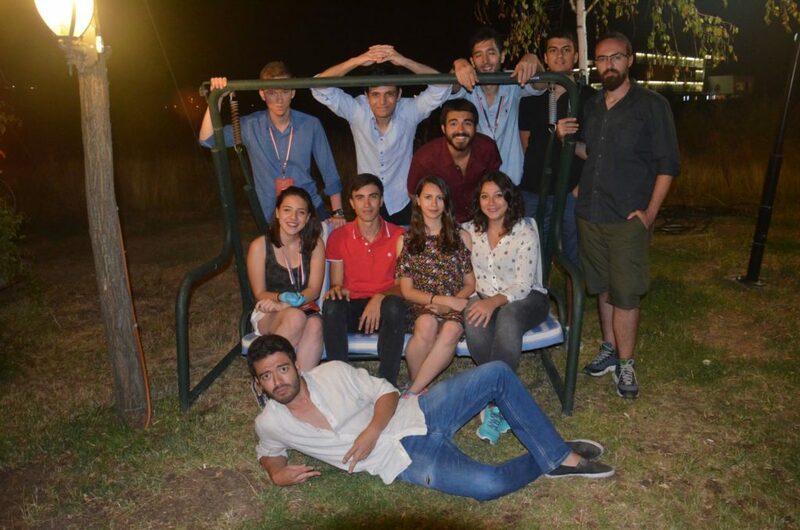 I held the mandate as the treasurer in the AEGEE-Ankara board and was then elected as president. This work in an institutionally established local equipped me well to fulfil the tasks of the Financial Director. Above all, I believe it is up to the Agora and its delegates to comment on the chances of each candidate. Comments otherwise would be anti-democratic which is against the values of AEGEE. Therefore, each candidate should be treated on an equal basis. I am sure we are on the same page in this regard. Many successful activists have committed to their ideals while many people thought they had no chance to make a difference. Only thanks to them the world is a better place today. And I am deeply committed to the values AEGEE represents. Being elected or not I dare to put my candidature forward! You wrote that your work as Audit Commissioner prepared you for the task as Financial Director. Which are the typical financial mistakes that CDs make – and how does your experience help prevent them? Together with the Financial Director, the role of the audit commission is to ensure that AEGEE-Europe has a robust financial system which is accountable and transparent both towards our members and towards our stakeholders. The key to prevent any risks is good cooperation, trust and teamwork. You can count these as my suggestions as mitigation tools. Financial reporting in account is a complex task. Therefore, listing a number of mistakes would not really serve to purpose of this interview. I am happy to discuss this issue further bilaterally if there is any interest! The income side of AEGEE has been deteriorating in the past years. You want to find new funds from corporations, other foundations as well as sponsors. Can you name three concrete sources that you want to tap into? The funding streams change as European politics evolves. The shrinking sources of income stand as a problem for many non-governmental agencies. The first step prior to tagging potential donors is to work on a long-term fundraising strategy which would be regularly updated. For instance, we could consider organising a workshop with experienced AEGEE members and former CD members to do a donor mapping activity. By doing so, we could reach out to alternative donors in addition to traditional donors. In sum, I am proposing a mapping activity which would enable us to name more than three sources. Allow me to highlight that the funding has never been an easy topic for youth organisations. However, AEGEE has a highly trusted image and a well-established financial management system in place, which is a high marketing value I would promote along with our strong thematic focuses. Previous Financial Directors saw fundraising as part of their personal job, although according to the CIA it isn’t. What will be the focus of your personal fund-raising efforts? Or will you just advise others who do the FR task? My initial focus would be the overall management of the financial strategy that includes tasks such as preparing annual budgets and project budgets, monitoring of the expenditures and the forecasts, providing expenditure reports and carrying out financial transactions in compliance with international standards. Taking into account the key role of any cash flow for the aforementioned tasks, I would definitely be a Financial Director who closely works with colleagues responsible of fundraising. I believe successful fundraising requires a team effort; we need input from our projects and working groups, we need inputs from our advocacy efforts as well as a good representation how we ensure financial transparency and accountability. In sum, highlighting that the role of Financial Director in this regard should be a team decision, I am ready to put my experience forward and support our fundraising efforts. You also want to train antenna members in financial management. What will people learn exactly? Many NGOs face problems that hinder their development due to ineffective financial management at project level and organisational level, which results in failure to operate in harmony. As a member of the Audit Commission I have observed the need for such a training at first hand. This is why I aim at developing a training programme available for local treasures as well as European level project managers and treasurers. This would provide them with in-depth knowledge on basics of financial management that includes: budgeting and budget management, management of cash and bank, internal control systems, grant management and financial reporting in line with AEGEE-Europe regulations. Such a training would also function as an investment for future candidates for European Bodies such as the Audit Commission and CIRC! Will these trainings be weekend events, online tutorials or in another format? There are many ways to do it. We can either use in-house sources to organise a training that would be composed of both face-to-face and online sessions or we can use a partner with platforms that offers online learnings. The definition of fundraising is not limited to cash. I believe receiving free access to respected universities online courses would be an equally valuable contribution to AEGEE. Why not enable our members to take a free online course from Harvard University? We are living in the age of technology. We should make the best use of it. You want to decrease the CD expenses and other AEGEE-Europe expenses. Which budget lines will you cut exactly? Allow me to highlight that decreasing CD expenses does not necessarily mean cutting from the budget lines. What I have in mind are more alternative methods that will allow us to increase the quality of living while reducing our expenses. It is about finding alternative resources, having a greener CD house and many other methods that would allow us to have a cost efficient management. I wouldn’t agree to any policy with negative consequences. The network is shrinking, therefore the income. Which general big measures must does AEGEE need to do to secure long-term financial sustainability for the next 10 or 20 years? I already mentioned the necessity of a long-term fundraising strategy which would be regularly updated. The European politics is evolving in a different direction and AEGEE is not exempt from the consequences of the changing politics. Acknowledging that long-term sustainability is a very ambitious term even for private companies and inter-governmental agencies such as the United Nations. The first thing to do is planning rationally and start thinking out of the box and take the advantage of being a very big network with years of experience with all colours of Europe in it! Question 1: Can you elaborate your knowledge and experience in the field of economics, mainly financing and budgeting? I was treasurer of several projects in my local. Also, last year I was interim board member for about nine months where I was mainly treasurer. Also, I am member of Audit Commission. These experiences gave me the knowledge of financing and budgeting. Apart from my AEGEE career, I took economy classes in my university and started my second degree in economics. Question 2: Based what happened within CD 55, how would you prevent resignations within the team? Teambuilding is really important. From my experiences in my local, if there is no team, people start to give up their duties. 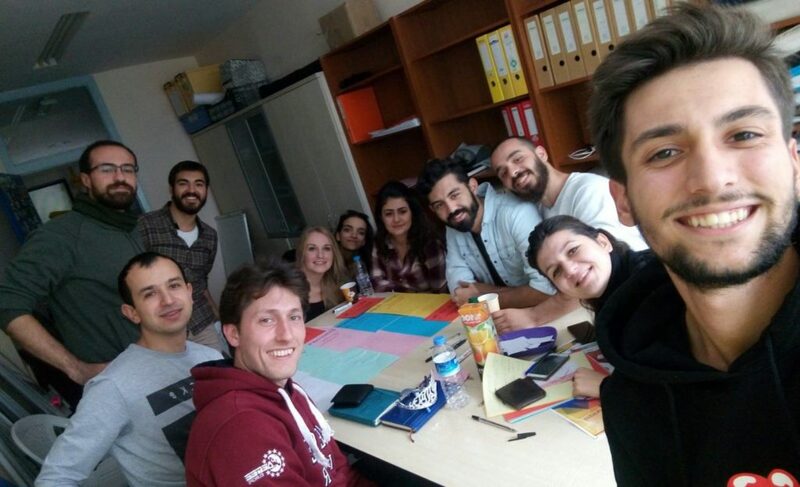 In AEGEE-Ankara we try to make the new members feel in their families. This can be applied in CD also. Question 3: Some of AEGEE’s income is labeled, meaning certain grants AEGEE gets are only able to cover certain costs. Does this conflict with your proposed spending cuts? Decreasing CD expenses does not necessarily mean cutting from the budget lines. What I have in mind are more alternative methods that will allow us to increase quality of living while reducing our expenses. It is about finding alternative resources, having a greener CD house and many other methods that would allow us to have a cost efficient management. Question 4: What will you do with the money that is being saved with the help of the budget cuts? If there is any saved money, it will be used for new projects and for the good of the network. Question 5: What do you think about the Antenna Criteria proposal proposed by CD? I can answer this question from the perspective of the Audit Commission and from the perspective of the president of an antenna. The financial reports don’t show anything, most of the locals just send the reports to be sent. We can’t say anything about the financial status of the locals. I think it is the same for the other reports. As a president I would say, the change in the European events from once every two years to every year is needed. By this way, locals will try to stay active and organize more projects. This would help us to stop the shrinking of network and expand it with our impact. Our main task should be to activate contact antennae and upgrade them to antennae and let them stay in that position. However, there are also some negative points in the proposal. Deleting the local training courses from antennae criteria and deleting the sending of members to Agora and EPM will affect our network in a bad way. If the locals in the periphery of the network would organize a statutory meeting, the number of participants would be really low. The same for the Agoras. Also, not sending the activity plan and activity report would make the CD unaware which local is active or dead. So, if the proposal would pass, the bureaucracy would be gone, but it would create a huge information gap between locals and AEGEE-Europe. Read Oğuzhan Ayhan’s programme here. Check out also the interview with Luca Bisighini.